The Allahabad High Court recognised the university as a non-minority institution in 2006. A seven-judge bench of the Supreme Court will decide whether the Aligarh Muslim University and other educational institutions can be granted minority status, the top court said today. Chief Justice Ranjan Gogoi referred the issue to a larger bench for defining the parameters for granting minority status to educational institutions. After the Allahabad High Court recognised the university as a non-minority institution in 2006, the Congress-led UPA government had filed a plea challenging the verdict. The NDA government in 2016 told the Supreme Court that it was withdrawing the appeal filed by the previous government saying that the the university was set up by a Central Act, a five-judge Constitution bench of the Supreme Court had held it as a "central university" and not a minority institution.. But in 1981, an amendment was brought in to accord the university minority status, which was held as unconstitutional by the Allahabad High Court. 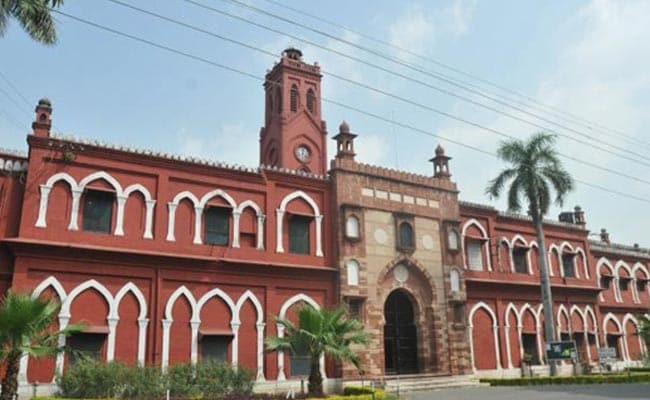 The Attorney General had told the Supreme Court that the Aligarh Muslim University could not be categorised as a minority institution. "It is the stand of the Union of India that AMU is not a minority university. As the executive government at the Centre, we can't be seen as setting up a minority institution in a secular state," he had submitted, adding that "the previous stand (of UPA government) was wrong." The Aligarh Muslim University then approached the Supreme Court asking it not to allow the centre to withdraw the appeal. The AMU said, "A decision taken at the governmental level will not be nullified by a change of government, by another political party assuming power, particularly when such a decision affects the interest of the nation as a whole." The minority character of the university, the oldest Muslim University in the country, means a lot to all the Muslims, the affidavit had said.